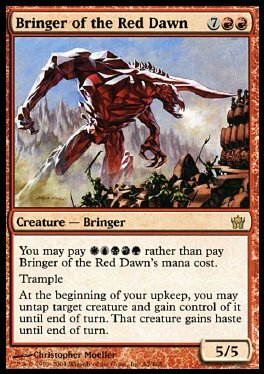 You may pay WUBRG rather than pay Bringer of the Red Dawn's mana cost. Trample At the beginning of your upkeep, you may untap target creature and gain control of it until end of turn. That creature gains haste until end of turn.